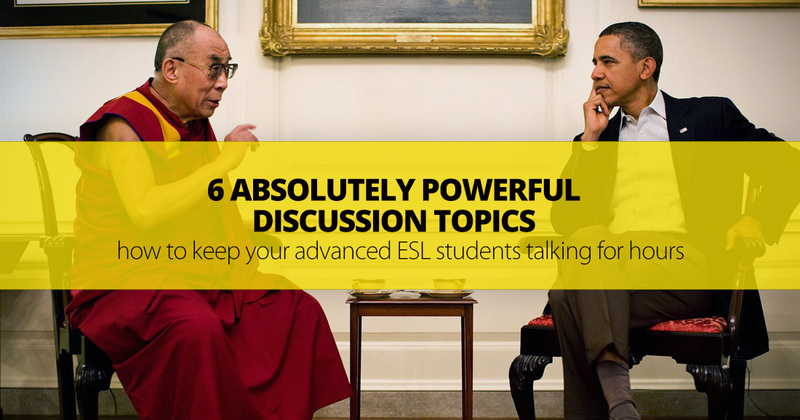 Some aspects of working with advanced ESL students require a little extra thought. Experienced learners have probably covered many of the ‘classic’ ESL topics, so they’ll be confident when talking about school, work, sports, friendship and the like. There’s nothing wrong with these subjects, but it’s a good idea to advance beyond them, even if (and especially when) your assigned textbook doesn’t. Once you’ve gotten to know the class quite well, carry out a poll or hand out a questionnaire to discover their level of interest in different topics. Tabulate the results, consider your own interests and the topics which are most suitable for students of their age and level, and choose a handful to take further. I’ve been fortunate in being assigned to the same groups of students for many weeks, sometimes months, and this useful familiarity lets me tailor content for just the group I’m working with. I urge you to be careful, and to consider the ethnic and gender balance of the class, but these days, there are few topics which will really cause offence or foment serious division, and I’m betting that you could list them right now. A little careful forethought, and you’ll have ready a set of topics which have universal appeal, and which will yield some terrific language practice opportunities. Your students will likely have a head start here, as climate change has made its way into most intermediate or upper-intermediate level textbooks. Have your students assess the human impact on the environment, where they’re from and where you are, or in an assigned area of the world (the rain forest, the polar regions, mountainous and glacial areas, etc). Encourage them to devise solutions to climate change issues, perhaps including a ‘Tobin Tax’ to fund research or construction work, possible methods of reducing global temperature, our response to the issue of salinity problems in the Atlantic (you might even show all or part of the blockbuster The Day After Tomorrow), and studies of the first obvious signs of climate change around the world. 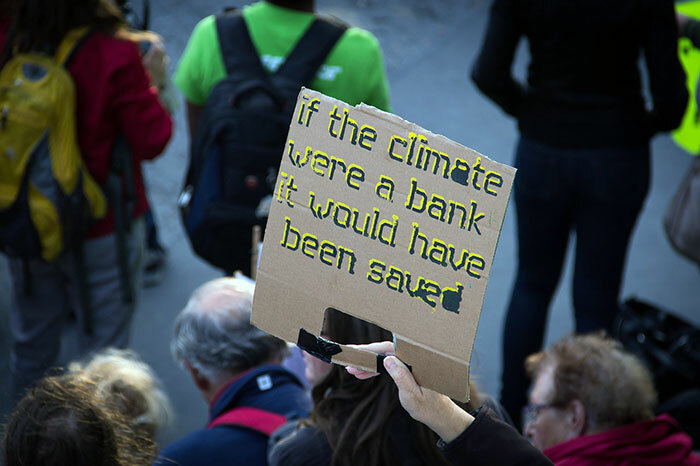 'If the climate were a bank, it would have been saved' ~Venezuelan president Hugo Chavez, U.N. climate talks, Dec. 16, 2009. At the time of writing, a study of the 2015 Paris accord would look at the text of the document and the media coverage of the event, though in coming months and years, the effectiveness of the agreement will itself become measurable. I’m also a big fan of discussion and negotiation exercises, and recently trialed a debate about Antarctica. I’d also like to try a card-based crisis management game called ‘Sinking Island’, where teams compete to save an imperiled island nation from the rising waters; feel free to take this idea and run with it, especially if you’ve a penchant for game design. Again, your students will already have covered the basics, but there are some fascinating avenues to explore. How do they feel about genetic testing, or the prospect of genetic alterations? Could these ever be justified? A combined research, presentation and discussion module would bring in some interesting language, and give the students a grounding in an important area. If your class are amenable, go ahead and discuss the potential uses of stem cells, and perhaps even the prospects for cryogenic freezing of the recently deceased, for later revival and treatment by future scientists. On the lighter side, hold a debate on cosmetic surgery – perhaps whether it should be covered by national health systems like those in Britain and other parts of Europe. Another good challenge is to have the students judge different research areas and allocate funding to each one, from a limited budget. Would they give the majority of the funds to the cancer treatment center, the HIV lab, the ‘future viruses’ technologists or the DNA-modification team? I’ve always loved exercises like this; they tend to produce lots of good language, I always learn a lot, and these challenging topics require the students to consider new strands of thought. The sky is the limit here, and if you’re working with young, advanced learners, they will be very aware of, and plugged into (perhaps literally!) some of the latest controversies and debates. An obvious place to start is cellphones. Should we regard cellphone addiction as a real disorder? Should there be limits on their use in education, or in the workplace? If someone is arrested, should the police have immediate access to that person’s phone? From here, branch out into discussions of Internet censorship, good practice, cryptocurrencies (e.g. Bitcoin), encrypted browsing (e.g. the Tor network) and emerging trends in social media. Should parents be solely responsible for their children’s internet use, or should government have some role? Can a government ever hope to meaningfully control its public’s access to the Internet? And is such access, as the United Nations has decided, genuinely a human right? 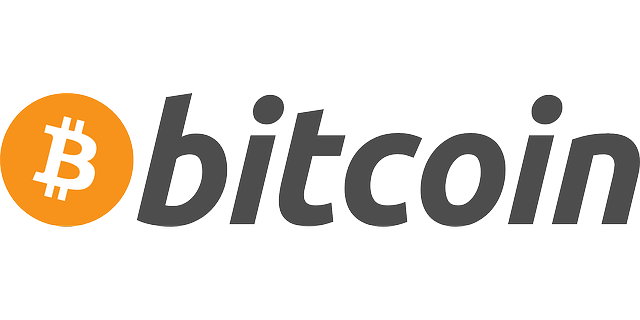 The most commonly used symbol for Bitcoin is BTC, a capital letter B with two vertical lines "going through" it, though the lines are only visible at the top and bottom. Conversely, have your students research and present on the virtues of unplugging from technology. New research is emerging regarding the importance of limiting screen time before sleeping, the impact of too much TV or computer time on child development, and the potential dangers of violent video games; do your students take these findings seriously? Would your students ever consider a surgical implant to help their memory, brainpower or sensory processing? Are we truly approaching The Singularity, as Ray Kurzweil has labeled the seemingly inevitable fusion of man and machine? Another well worn but fascinating path is discussing the value of space exploration. Show your students the latest images from Pluto, Saturn and the asteroids, and explore whether they believe such investments are worthwhile. I’d also like to write another decision-making game based on the news that an asteroid is a year away from striking the Earth. How would your students respond, and what would their priorities be during this challenging time? Many teachers (quite wisely) steer well clear of political topics, but with advanced students, there’s more likelihood of uptake and interest. Compare the political systems from your students’ countries, and perhaps take a dispassionate view of the system where you live. Could it be improved? What changes would your students makes? Are their own political systems troubled by the unfair influence of the rich, through campaign donations, or other forms of corruption? Could they design a better, more representative electoral system? I also love holding ‘Presidential Elections’ in my class, complete with policy statements, personal attacks and a nail-biting final vote. I’ve had some very successful high-level debates where my students decide what kind of punishment is suitable for different crimes, and in different circumstances. The death penalty debate never gets old, provided your students are genuinely up for it, and they will almost certainly have opinions about how to tackle terrorism and reform gun control. You might delve into some famous conspiracy theories, discuss the notion from Back To The Future II of ‘abolishing all lawyers’, or have your students watch the riveting Netflix documentary, Making a Murderer. It’s in ten hour-long parts, but it’ll teach them volumes about the justice system and its problems, and it’s a master class in documentary film-making. Depending on the makeup of your class, and their maturity and interest levels, it might be possible to assign research and presentation tasks about the big international events of the day. I might risk assigning the Syria conflict to a very mature, experienced group; the same is true of the Russia/Ukraine crisis and the endless dispute between Israel and Palestine. If these topics are too rich for your students’ diet, consider ‘United Nations’, a terrific negotiation game. With a little thought and preparation, you can bring your students into some new areas of discussion and research. These can encourage lots of great language production, and the learning of new vocab, but also these topics are ones which can broaden your students’ horizons and result in new areas of interest.